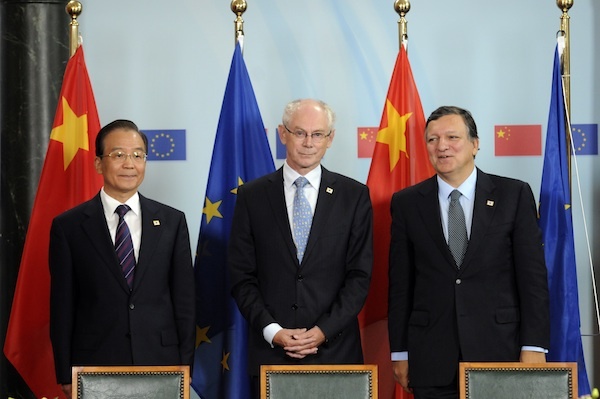 Pictured above are (from l to r), former Chinese Premier Wen Jiabao, Herman Van Rompuy (President of the EU Council) and Jose Manuel Barroso (President of the EU Commission) at a China/EU summit held a few months ago. What does each of them have in common? They represent the leadership of two powerful global economic blocs that wield power over millions of people. What else? 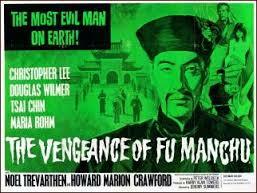 They reached their positions of power, not through election by millions of their fellow citizens but via a secretive cabal of a select few – the higher echelon of the Communist Party in Wen’s case and the Heads of State in the EU for the other two. In other words none of them were mandated by their people via the ballot box. They were essentially selected by their own fellow oligarchs who regard themselves as the elite who deserve to rule rather than submit themselves to whims of the great unwashed. Indeed Barroso (a Maoist revolutionary in his Portuguese student days) has been quoted as fully supportive of that elite notion. Voters, being human, can make mistakes. But it doesn’t follow that a class of experts would have made a better decision. Just think about some of the positions that “the experts” have taken down the ages. In the 1920s, they were for returning to gold at the pre-war rate. In the 1930s, they were for appeasement. In the 1940s, they were for nationalisation. In the 1950s they were for state planning. In the 1960s, they were for mixed-ability, child-centred teaching. In the 1970s, they were for price controls. In the 1980s, they were for the ERM. In the 1990s they were for the euro. In our own decade, they were for the bail-outs and stimulus packages. Well, Mr Buckley – China and the EU would certainly not agree with you on that point.. Comments Off on Hua Shan Plank Walk – 20 Inches Wide Overlooking A Gorge 3,000 Ft Below..
Hua Shan Plank Walk – 20 Inches Wide Overlooking A Gorge 3,000 Ft Below..
Hua Shan is a mountain in the Shaanxi Province of China, about 120 kilometres east of the city of Xi’an and is more than 2000 metres in height. Cut into the side of the mountain and overlooking a deep gorge is a pathway made up of three planks laid on top of iron bolts drilled into the rockface. Walking along the planks, even with a safety harness, is terrifying but, if you fancy an adrenalin rush, this is the path to travel….. The first view of the only 0.3 metres wide planks was simply and quite literally breathtaking: The half-rotten planks lay on some iron bolts that were drilled into the mountain every five meters or so and were held together by a few rusty nails. Walking onto the planks leaves you with nothing below you for at least a 1000 meters……………………………………… I am not sure how dangerous the walk actually is, but all three of us were holding on for dear life and walking ever so slowly, making sure we did not slip or let go of the handrail (unless we had to clip the harness into the next section). Suggestion….cut the annoying music on the vid..